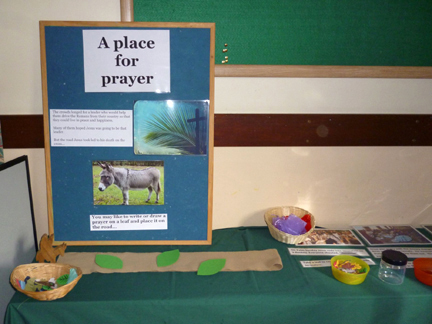 This prayer activity took place during our event to decorate our Christmas tree for the Christmas tree festival. As we were in the second week of Advent we took up the theme of peace and offered everyone the chance to write their prayers on dove shapes. 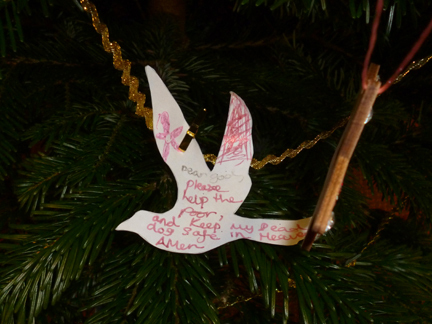 We then pegged them on to gold ribbon, which was used to encircle the tree. January is the start of a new year. What would you wish for in the new year? 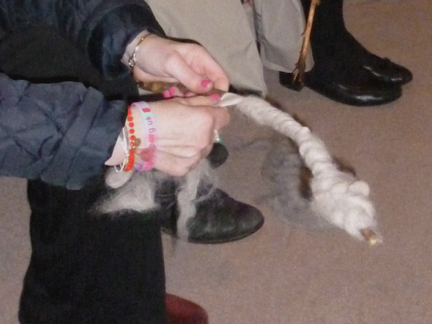 You may like to take some of the coloured wool, tie it onto the wheel and say a prayer for that particular thing... You may like to wind some of the wool round a stick to take home with you. 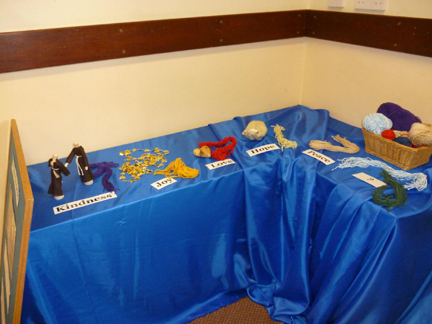 A jewellery tree was used as a prayer tree. It was surrounded with battery candles and wooden flames. 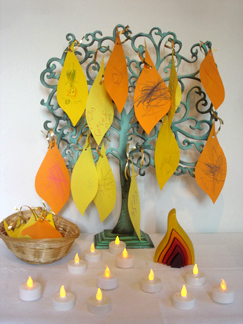 Prayers were drawn or written on yellow or orange flames and hung on the tree. "We all dream sometimes about how things could be different and how our lives could be better. The crowds who watched Jesus ride into Jerusalem had their hopes and dreams as well. You may like to write or draw a prayer on a leaf and place it on the road..."
"Jesus Lamb of God, who takes away the sins of the world, have mercy on us. Jesus, Lamb of God, give us peace." "Christ chose the cross as his throne – he chose to die to save his people, rather than dress up in fine robes and sit on a jewelled throne." 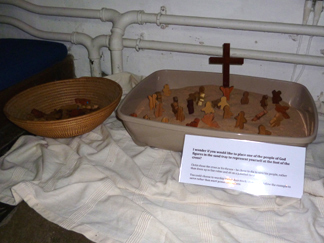 "You could place one of the people of God figures in the sand tray to represent yourself at the foot of the cross – choosing to worship rather than mock; to serve rather than exert power over others." Over the year we get a lot of prayer leaves on our church and school prayer trees, so we had to decide what to do about them. 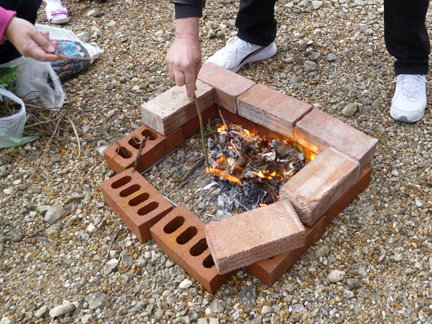 It seemed wrong just to bin them so for several years we used to burn them on the Easter fire.